The cardigan is now behaving itself, it's growing quickly and there are no more glitches. 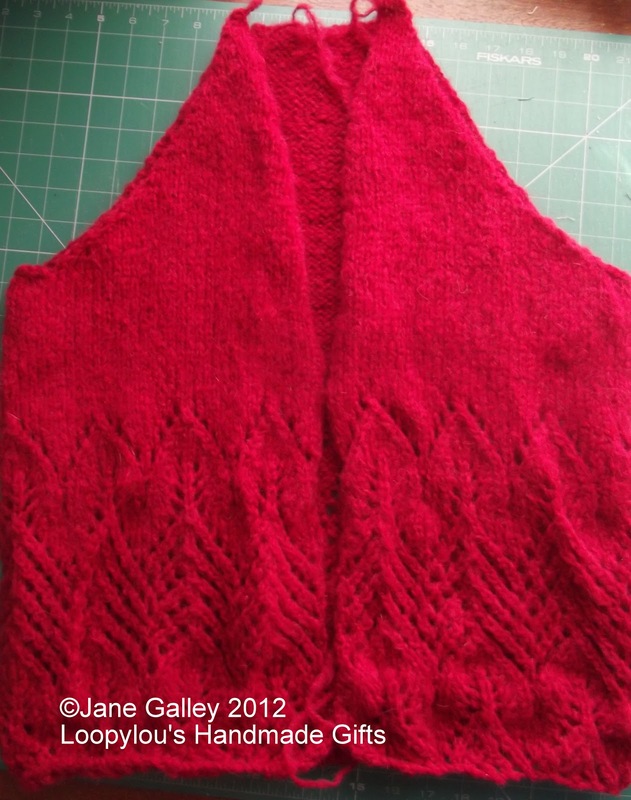 It seems a lot quicker to knit as the bottom is all one piece. Now, time for two sleeves. I love knitting cardigans all in one...little or no seaming at the end. Gorgeous colour. It is looking absolutely fabulous. I'm glad you showed it who is boss! You will now finish in no time! It is lovely. That red is so beautiful! Gorgeous color and lacy pattern. Looks perfect. Do you ever use lifelines for a pattern like that? I'm forever making mistakes on those types. Love the pattern. You are almost there. Oh my goodness Jane, this is just beautiful! I so wish I could knit!